Lebanese-American self-taught pianist Tarek Yamani, alongside bassist Elie Afif, percussionist Khaled Yassine, and guest performer Trumpeter Yazz Ahmed, produced a mesmerising performance @KingsPlace as part of the Shubbak 2017 Festival, in collaboration with MARSM. In an intimate setting, Tarek performed a selection of tracks from his three albums to date, and showcased the Trio’s latest album Peninsular. It has become a cliché that Arab artists, musicians or otherwise, ‘blend East with West’. Indeed, many artists have attempted this musical blend before, however not with the same virtuosity and acclamation that Tarek has achieved. Tarek, relaxed and perfectly confident, explained “I studied Jazz for twelve years, practicing six, seven hours a day. It was only after I felt I had mastered the language of Jazz that I started to include my own influences and background into my compositions”. Indeed, to call Tarek’s work a ‘blend of East and West’ does not do justice to the research that has gone into producing his albums. Commissioned by the Abu Dhabi Festival for Spring 2017, Peninsular was produced as a result of a year of formal research on folkloric Khaleeji music, using archived recordings as well as YouTube videos to uncover the Bedouin sounds and rhythms of the Arabian Peninsular previously unexplored in the jazz context. It is perhaps something intrinsic to Jazz that encourages this mixing of styles. In his YouTube album teaser, he describes his musical vision. “Jazz is so unique … because is carries a concrete history in its DNA, like folk music, but unlike folk music it has this exponential speed in evolving. So what is better than jazz to portray the folkloric music of the Arabian peninsular in a new perspective”. At one level Jazz is technical and theoretical, but at another it is playful, even daring. 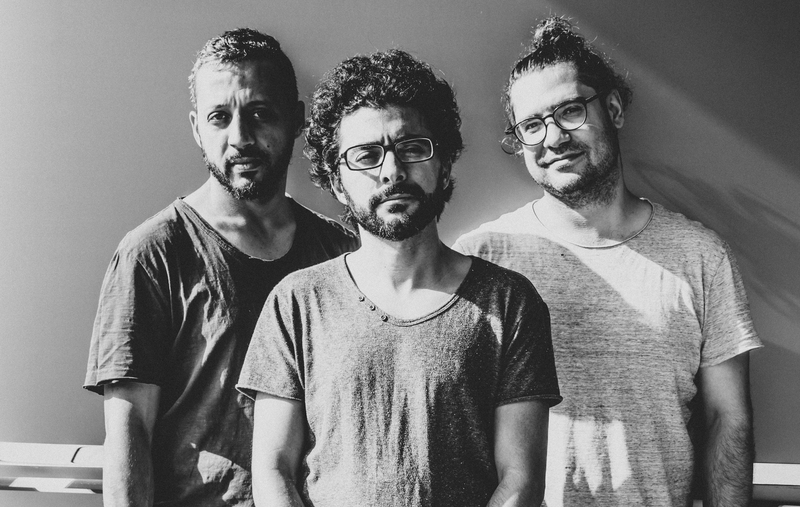 Indeed, Tarek’s latest album alludes to the dark history of slavery in the Arabian Peninsular. It is this slave trade, Tarek claims, that brought African polyrhythms to the Middle East, just as the transatlantic trade brought a new musical language to North America. His surprising claim, therefore, is that the music of the Arabian Peninsular and Jazz share the same DNA, they are distant cousins. Tarek’s vision extends beyond the concert hall and laments the unfortunate lack of attention and care given to the rich and fascinating tradition of Khaleeji music and Arab heritage generally speaking. The performance was punctuated with brief introductions to his tracks, descriptions of their origins and rhythms, which transported the audience to an imagined Middle East and planted a seed of fascination in its endlessly rich cultures, histories, and traditions. Tarek Yamani’s latest album, Peninsular, is available for purchase on iTunes and Google Play in Autumn 2017.